Interest in reactive oxygen species and adipocyte differentiation/adipose tissue function is steadily increasing. This is due in part to a search for alternative avenues for combating obesity, which results from the excess accumulation of adipose tissue. Obesity is a major risk factor for complex disorders such as cancer, type 2 diabetes, and cardiovascular diseases. 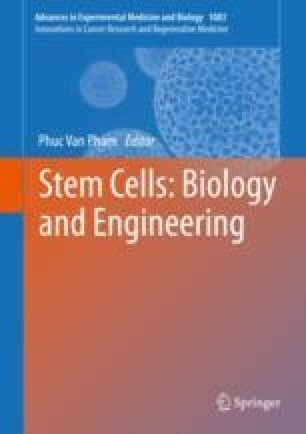 The ability of mesenchymal stromal/stem cells (MSCs) to differentiate into adipocytes is often used as a model for studying adipogenesis in vitro. A key focus is the effect of both intra- and extracellular reactive oxygen species (ROS) on adipogenesis. The consensus from the majority of studies is that ROS, irrespective of the source, promote adipogenesis. The effect of ROS on adipogenesis is suppressed by antioxidants or ROS scavengers. Reactive oxygen species are generated during the process of adipocyte differentiation as well as by other cell metabolic processes. Despite many studies in this field, it is still not possible to state with certainty whether ROS measured during adipocyte differentiation are a cause or consequence of this process. In addition, it is still unclear what the exact sources are of the ROS that initiate and/or drive adipogenic differentiation in MSCs in vivo. This review provides an overview of our understanding of the role of ROS in adipocyte differentiation as well as how certain ROS scavengers and antioxidants might affect this process. This research was funded by the South African Medical Research Council in terms of the SAMRC's Flagship Award Project SAMRC-RFA-UFSP-01-2013/STEM CELLS, the SAMRC Extramural Unit for Stem Cell Research and Therapy and the Institute for Cellular and Molecular Medicine of the University of Pretoria. Danielle de Villiers drafted the first version of the manuscript with input from Marnie Potgieter and Michael Pepper. Melvin Ambele, Chrisna Durandt, and Ladislaus Adam provided intellectual input and contributed to the writing of the manuscript. All authors vetted and approved the final version of the manuscript. Michael Pepper conceived the project.